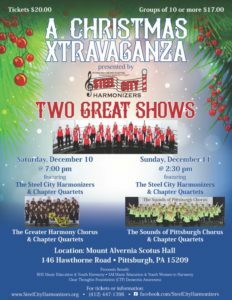 Sounds of Pittsburgh Chorus will appear at the Steel City Harmonizer’s Christmas Show on Sunday, December 11 at 2:30pm. Tickets: $20 or $17 each for groups of 10 or more. 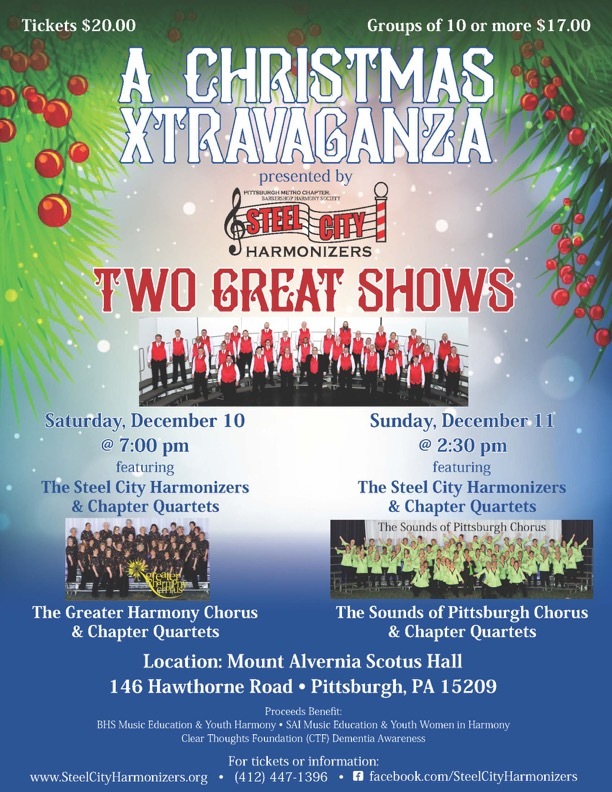 Buy through a Sounds of Pittsburgh Chorus member by check made out to the chorus or by cash. Both choruses will combine to sing Christmas songs in addition to singing our current and holiday repertoire. Come out and enjoy an afternoon of harmony! Subscribe now to hear about our upcoming shows and events! This is a low volume list. We had AWESOME JOE with us tonight and what an AWESOME time! Thanks, Joe! We are MOTIVATED and working hard today!